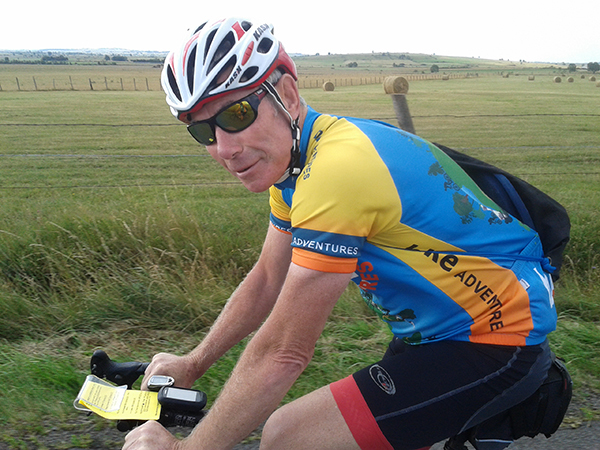 Dominic is a veteran tour leader, having completed a large number of Trans-African truck and mountain bike expeditions over the last 25 years. He completed the Land’s End to O’Groats at the tender age of 19 and has since travelled throughout the world – often by bicycle. Having recently finished a career with the United Nations based in Central Africa and the Middle East he has taken the plunge and now co-owns Bike Adventures. Mike studied mathematics at Kingston Polytechnic before taking up a career as a foreign exchange trader in the wonderful world of banking. He left the city in 2012 and has since spent time indulging his love for all things cycling. He claims to have dragged himself up some proper mountains including Mount Ventoux and the infamous Alpe d’Huez and to have ridden the Camino trail. Mike says, “To explore an unknown place on a bike gives you the sense of freedom and adventure which just can’t be found on a beach or in a coach”. Indeed. Cycling is Rob’s passion. 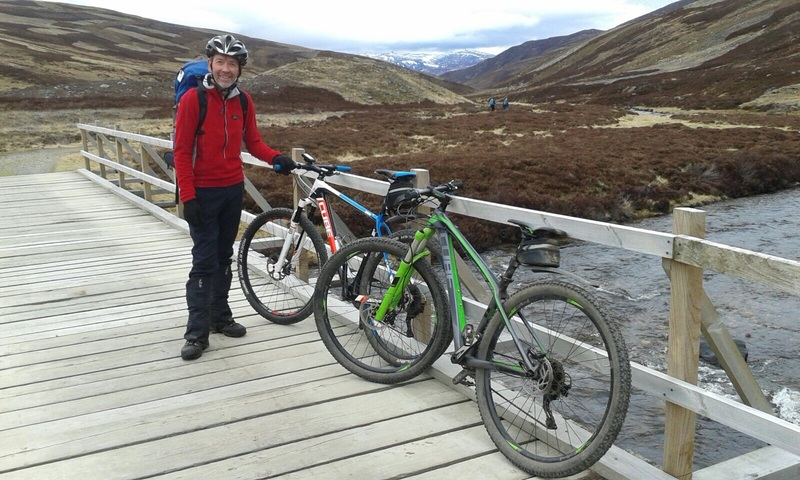 As his work as an Operations Manager got in the way it became a priority to find something that combined work and pleasure; Bike Adventures was the answer and after working as a tour leader he became part of the management team. 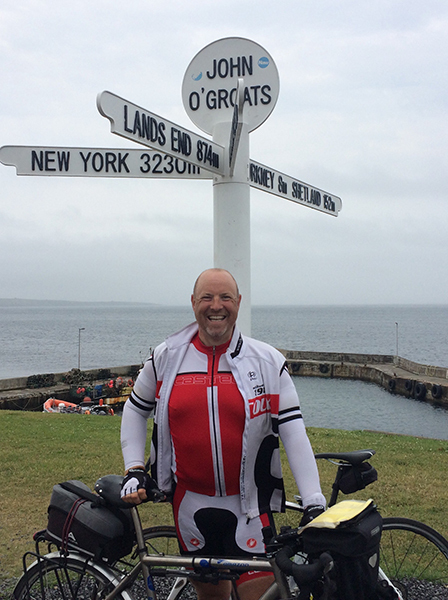 He has cycled his beloved Lejog more times than sanity should allow as well as numerous trips through Europe; he loves nothing more than helping people achieve their goal. Some say he bears an uncanny resemblance to Dennis the Menace. Steve has cycled extensively throughout Europe and North America and is slowly collecting ‘end-to-end’ and ‘side-to-sides’. After a long but rather unexciting career in Information Technology Steve became a tour leader for Bike Adventures. 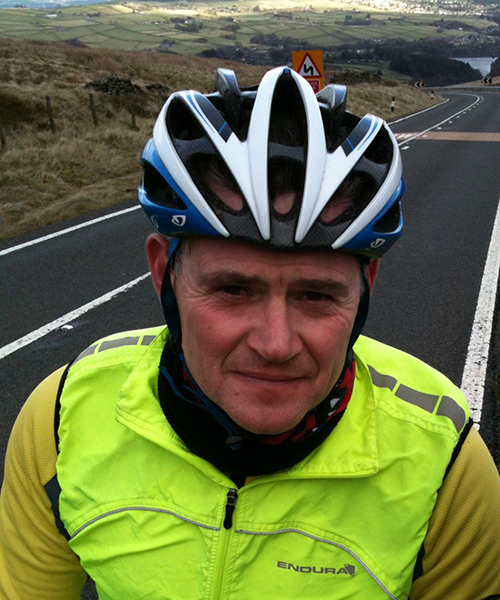 He is a trained first-aider, a self-taught but capable cycle mechanic and an irrepressible bore on all things cycling. 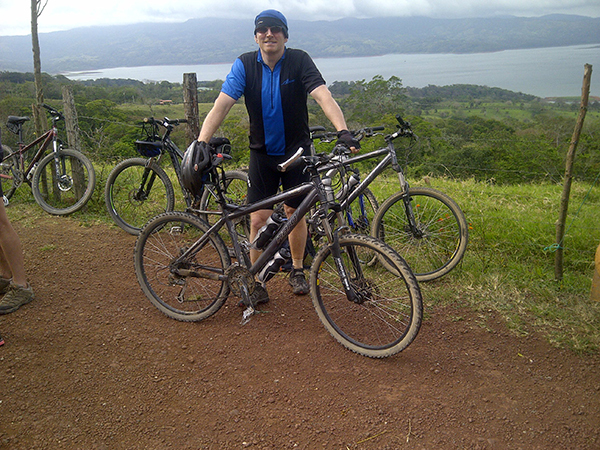 Steve believes that almost anything can be solved by going for a cycle and thinking about it! An ex fire-fighter, Geoff has long been a keen cyclist. He first rode Land’s End to John O’Groats in 2007 and has never looked back. 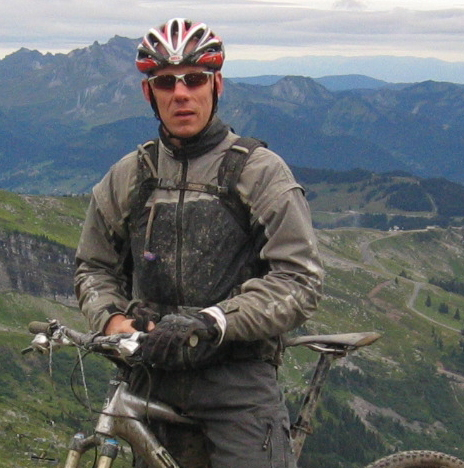 Geoff has worked for Bike Adventures since 2009 and has lead many tours in the UK, Europe and the US. He says he prefers the camping tours; we believe this is due to the afternoon tea and cakes that are provided, but that is unconfirmed! Cycling has been a big part of Peter’s life since a young age. He started by cycling to school, using his first bike to gain independence. Being in the outdoors is also a big part of his life, especially since retiring from a working life in IT in 2014. Retirement has allowed him to continue to be active – Peter says, ‘I look forward to sharing my enthusiasm for cycling with others’. John has travelled the world with the RAF as well as run his own pub. He is an extraordinarily strong cyclist, an expert bike mechanic, and Bike Adventures resident French speaker. 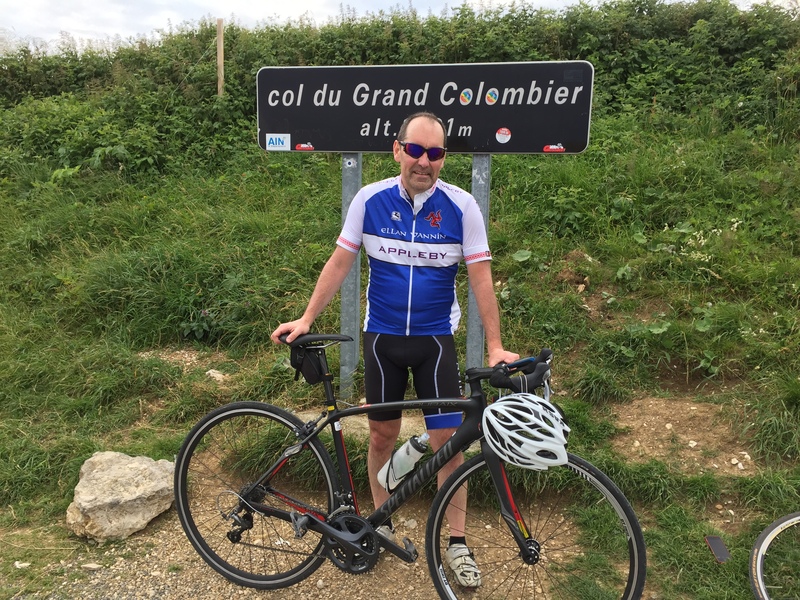 John has been a serious cyclist since his teens, but it is over the last ten years that he has completed some of his greatest challenges including the Raids Alpine and Pyreneen, the Cingles du Mont Ventoux and in 2011 aged 65 the 1230km Paris-Brest-Paris! 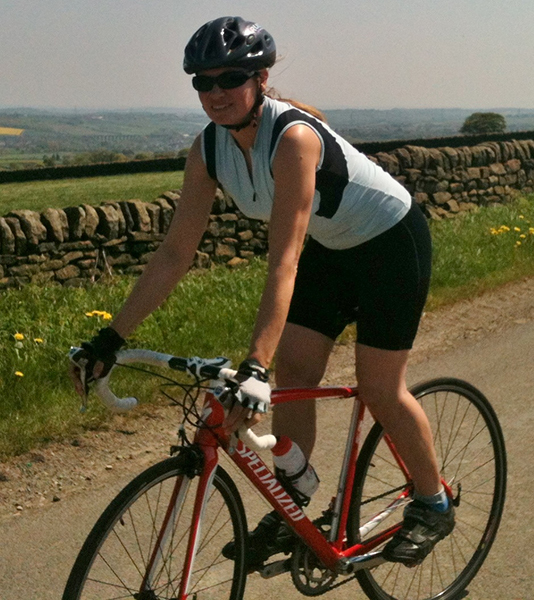 Kim had travelled and cycled with various companies before ‘finding’ Bike Adventures in 2005. Since then she has completed 7 trips as a customer and 11 as a leader (possibly a record). Kim loves to see people enjoying the Bike Adventures ‘experience’ as much as she does; her favourite shorter trip is the Irish end-to-end and says for a long trip you cannot beat the Pacific Coast Highway. 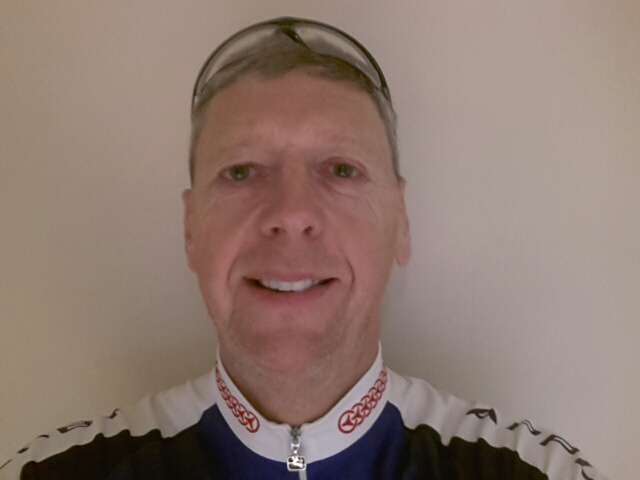 Phil enjoys all disciplines of cycling from cyclo-cross to road and mountain biking. He enjoys racing and competing and regularly races cyclo-cross in the winter and has even been known to enter the odd 24 hour mountain bike race. He is a qualified CTC tour leader and Cytech Level Two and Three mechanic and runs his own bicycle mechanic company. You’ll find him either on, or working on, a bike. 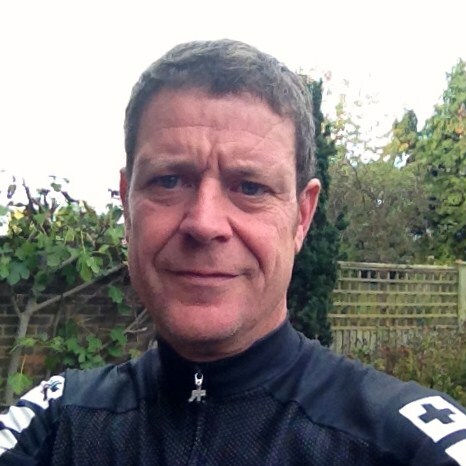 Martin is Bike Adventures’ resident Sports Therapist & Personal Trainer – always happy to give expert advice to our clients. Over the years he has both enjoyed and endured many cycling adventures. Never one to shy away from a challenge he has participated in several classic events, among those the Marmotte, Tour of Wessex, Fred Whitton Challenge, Mountain Mayhem and Brecon Beast. With a background in sports therapy and training Martin always endeavours to train correctly for these events. These days you’ll find him leading tours for Bike Adventures and, when not respectably employed, riding the numerous mountain bike trails centres around the UK. He says he’s no downhill specialist but he can be found enjoying the adrenaline rush and the amazing places riding takes him – come wind, rain or snow! 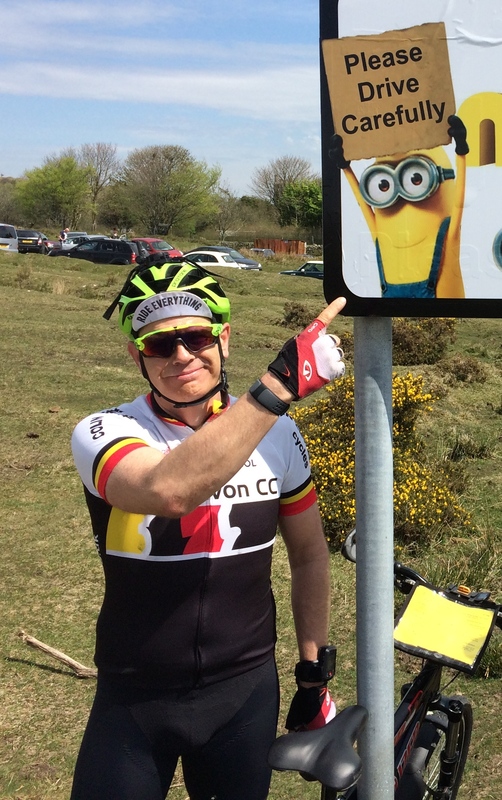 Having taken early retirement from accountancy, Mike is managing to fill his time (and keep from under his wife’s feet) by pursuing his favourite pastime of cycling with the occasional triathlon thrown in for good measure. A veteran of several long distance cycling tours – both in the USA and Europe – Mike is a keen follower of the mantra that ‘a bad day on the bike is still a lot better than a good day in the office’. Rob combines his work as a freelance writer and translator/interpreter with his role as a cycle tour leader for Bike Adventures. Over the past 30 years Rob has cycle-toured through most of Western and Central Europe, with recent excursions to North and Central America and to Australia. He believes that almost anything can be solved by sending Steve on a cycle ride to think about it. Graham is a Yorkshire man and an ex-policeman with an anything is possible attitude. He has club cycled from the age of eleven, and he certainly enjoys a challenge: cycling time-trialing, mountain biking, road, track and cyclo cross racing – he’s even won the occasional race! 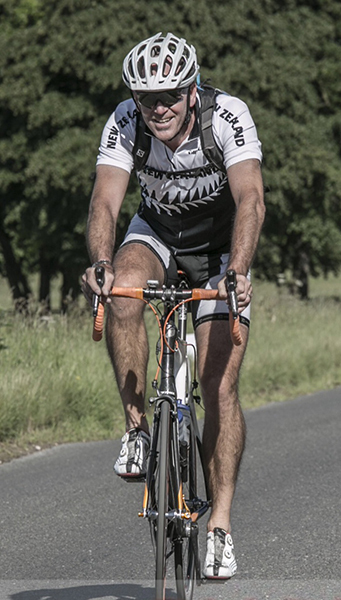 He is also a veteran of many marathon cycle tours through the UK, Europe and New Zealand. Sue was an RAF child and is a former Head Gardener. It was riding Dutch bike paths as a child that first got her into cycling. Things have gotten rather more adventurous since then, with long cycle tours through the UK, Europe and beyond. She has ‘enjoyed’ many forms of bike racing, and isn’t adverse to a spot of rock/ice climbing and sky diving (to cat 8). During the latter years of a career in the Communications/IT industry, Chris finally discovered ‘the meaning of life’ i.e. cycling! He was initially a customer of BikeAdventures but having taken early retirement has led tours since 2014. 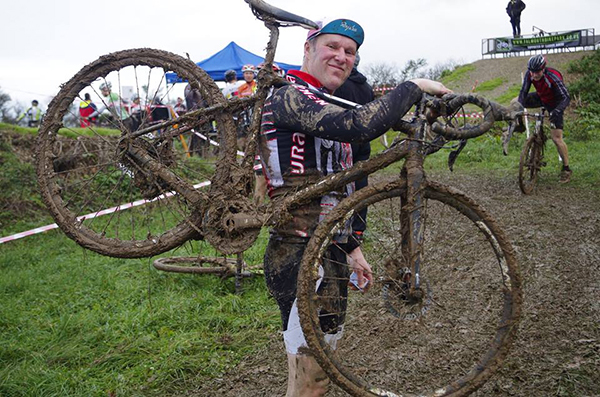 As an experienced mountain biker, roady and self-taught mechanic, Chris brings many skills to the team. 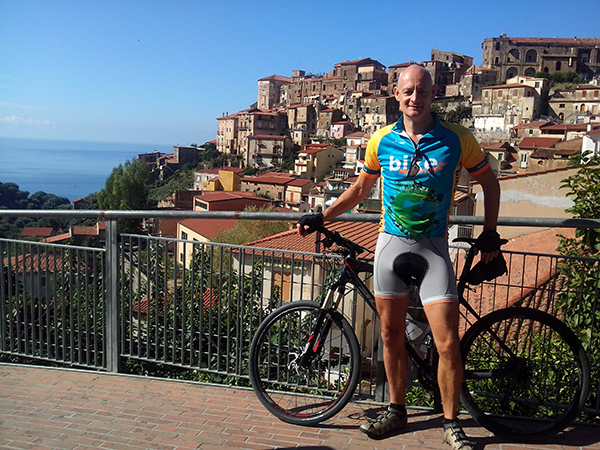 He runs his local MTB club & has ridden in Bosnia, France, Italy, Portugal and of course the classic LEJoG. Kevin is an all year club rider and past customer. Living on Dartmoor he has grown to ‘love’ hills and ‘rain’. 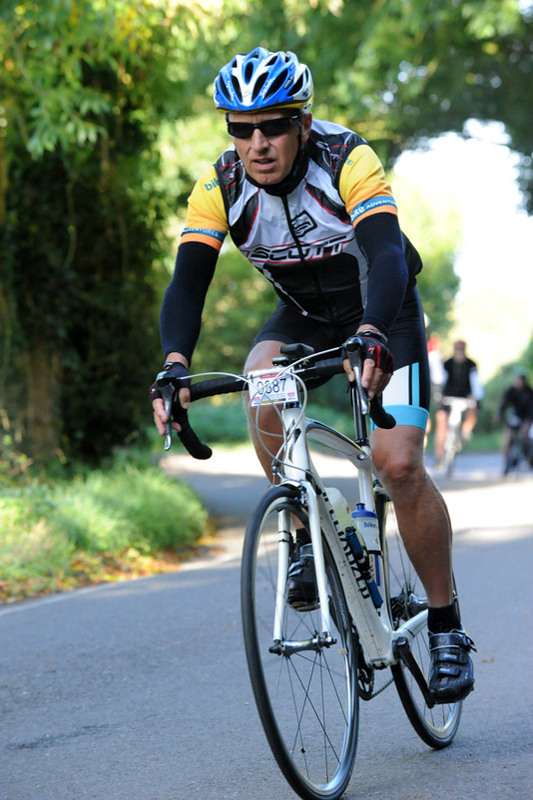 On the bike he has regularly cycled 100 mile + sportives; Lejog; Coastal Spain and the inaugural Tour De France Charity Grand Depart. Off the bike a qualified first aider, keen bike mechanic (undertaking Cytech II), BC accredited Marshall and sometime linguist.